A quick Google image search for stink bugs with show a variety of photos of these insects serenely sitting on leaves or on the sides of houses. Do they even have wings?! In our article, we'll go into detail about how these shield-shaped bugs make their way from one place to another with such speed and agility. Keep reading the learn more! 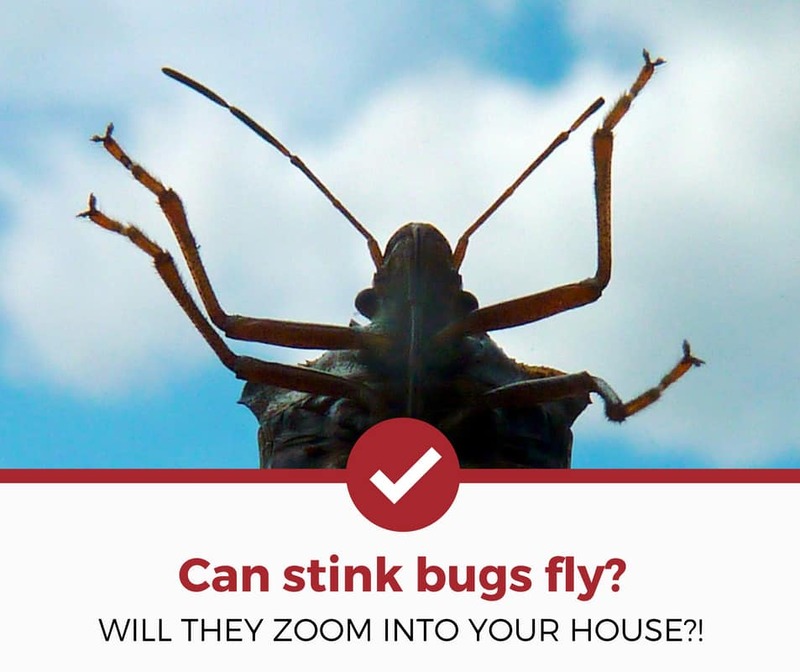 Can Stink Bugs Fly? Do They Even Have Wings? Why Do Stink Bugs Fly Weird? How Else Do Stink Bugs Move Around? Yes! Stink bugs can fly. If you hear an erratic, strange buzzing noise in the distance, chances are that you probably think a helicopter is flying around overhead. Shockingly enough, stink bugs have wings which fold perfectly to create the shield of their backsides! When they're ready to take flight, the wings pop out and off they go. However, their ascension isn't as smooth as one might assume. Their wings are bulky and awkward which creates a popping, buzzing noise when they lift off. This droning is highly irritating and can quickly identify a swarm of stink bugs a mile away (sometimes literally)! Read Also: What's the best way to trap a stink bug? If you ever see a stink bug in mid-flight, you may notice that it looks as though its internal navigation system has been hijacked. These insects fly in strange, seemingly random patterns with no rhyme or reason. Their flight path is usually awkward and bumbling, marked by confusion. Generally, it looks more like stink bugs fly for recreational purposes than to actually get from Point A to Point B. Scientists are currently studying the flight patterns of the stink bug to better understand their methods of transporting themselves, as shown in the video below. So, we've established that while stink bugs do have the ability to fly, it may not always be their smartest mode of transportation. How else to these enterprising bugs get from one place to another? No, you're not going to see a stink bug on the side of the highway with his thumb in the air, begging for a place in your passenger's seat. However, these insects will, indeed, take a short (and awkward) flight in order to land on whatever is available to them: a passing car, bus, bicycle, even a human! They'll hop right onto a moving target and go where the wind—and fate—takes them. This is actually how brown marmorated stink bugs arrived to the mainland United States in the first place: by embarking on a cargo ship from Asia in the 1990s, these insects were introduced to our continent. It's unlikely that you'll see a stink bug in the air, because while they can fly, they prefer to crawl. However, if you do—watch out! The humming sound may sound like a chopper overhead, but it could just be a swarm of stink bugs nearby. And keep in mind that if you ever do notice a stink bug mid-flight, their bodies are unprotected, which means that they can be easily squished, releasing their classic "stink." Look out for these insects, if for no reason other than to protect your nose!